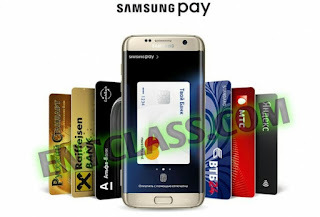 Samsung Pay mobile payment service has been officially launched in Russia today. Samsung Pay is the newest mobile payment gateway on board now and it's currently being supported by Russian Standard Bank, Raiffeisen Bank, MTS Bank, VTB24 and Alfa-Bank Banking Group. Samsung Pay payment service is currently available in 9 countries which are but not limited to Russia, Brazil, Puerto Rico, Australia, Singapore, Spain, China, US and South Korea. According to source, Samsung will be expanding its mobile payment service to more other countries which includes Thailand, Hong Kong, Canada, Malaysia and UK coming 2017. It is also said that people in Turkey will also have access to this service too.